From time to time, the Singularity Hub editorial team unearths a gem from the archives and wants to share it all over again. It’s usually a piece that was popular back then and we think is still relevant now. This is one of those articles. It was originally published October 5th, 2014. We hope you enjoy it! Why blow billions of dollars on space exploration when billions of people are living in poverty here on Earth? You’ve likely heard the justifications. The space program brings us useful innovations and inventions. Space exploration delivers perspective, inspiration, and understanding. Because it’s the final frontier. Because it’s there. What you haven’t heard is anything to inspire a sense of urgency. Indeed, NASA’s struggle to defend its existence and funding shows how weak these justifications sound to a public that cares less about space than seemingly more pressing needs. Presumably, this is why SpaceX founder Elon Musk, in a fascinating interview with Ross Andersen, skipped all the usual arguments in favor of something else entirely. Space exploration, he says, is as urgent as easing poverty or disease—it’s our insurance policy against extinction. As we extend our gaze back through geologic time and out into the universe, it’s clear we aren’t exempt from nature’s carelessly terrifying violence. We simply haven’t experienced its full wrath yet because we’ve only been awake for the cosmological blink of an eye. We’ve got all our eggs in one basket, and that’s a terrible risk-management strategy. We should diversify our planetary portfolio to insure against the worst—and soon. Musk’s line of reasoning isn’t completely novel. 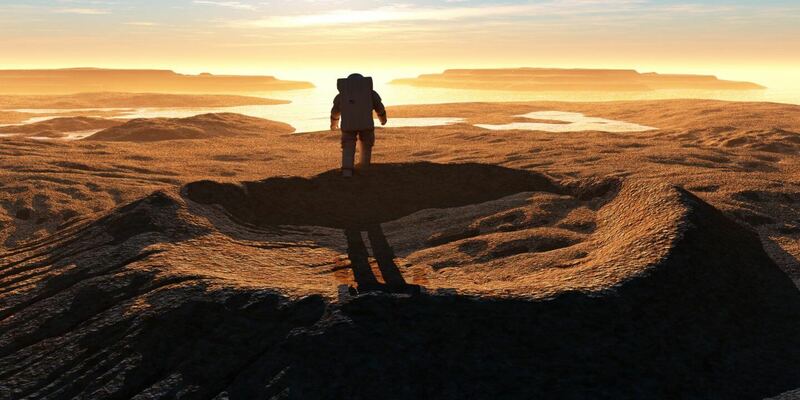 It’s what led science fiction writer Larry Niven to say, “The dinosaurs became extinct because they didn’t have a space program.” And it drives Ed Lu’s quest to save humanity from a major asteroid hit. But while we may spot and potentially derail asteroids, not every cosmic threat can be so easily predicted or prevented—a blast from a nearby supernova; a gamma ray burst aimed at Earth; a period of extreme volcanism. Any of these could wipe us out. Musk says he thinks a lot about the silence we’ve been greeted with as our telescopes scan the sky for interstellar broadcasts from other civilizations. Given the sheer number of galaxies, stars, and planets in the universe—it should be teeming with life. If even a tiny percent of the whole is intelligent, there should be thousands of civilizations in our galaxy alone. So where are they? That something strange might be an evolutionary self-destruct button, as Carl Sagan theorized. We developed modern rockets at the same time as nuclear weapons. But the Fermi Paradox and its explanations, while philosophically captivating, haven’t settled the question of intelligent life. 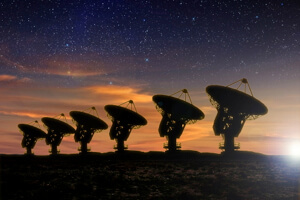 SETI’s Seth Shostak cautions, “The Fermi Paradox is a big extrapolation from a very local observation.” That is, just because we don’t see compelling evidence of galactic colonization around here doesn’t mean there is none. So, if you buy Musk’s argument—what next? Well, he didn’t start SpaceX to boost telecommunication satellites into orbit or shuttle astronauts to low-Earth orbit. SpaceX is Musk’s vehicle to another planet, and he isn’t shy saying so. Long after SpaceX sends its first human passengers to the space station; after it’s perfected reusable rockets; after it fires up the first Falcon Heavy deep space rocket—after all that, perhaps in the mid-2030s, Musk will found a colony on Mars. Some colonists will be able to afford the $500,000 ticket, he says. Others will sell their earthly belongings—like the early American settlers—to book their trip. But it won’t be a pleasure cruise. No, we’re talking an all-in, one-way commitment to a cause. Even so, getting people to go won’t be a problem. Mars One, an organization similarly dedicated to sending the first humans to Mars, had over 200,000 people apply for a few one-way tickets. Mars One may or may not make it to the Red Planet—but at the least they proved there are people willing to sacrifice the easy life to get there. In the long run, however, to establish a permanent, sustainable presence on Mars, we’ll need a whole lot more than a scattering of rugged colonists. Musk thinks it’ll take at least a million people to form a genetically diverse population and self-sufficient manufacturing base. All that in a freezing desert wasteland with no oil, oxygen, or trees. Mars has water but it’s not readily available. We’d have to mine the surface and set up heavy industry. It would be a mammoth undertaking. Musk thinks it could happen in the next century. And perhaps he’s right. Perhaps not. As Andersen notes, although he’s on an “epic run…he is always giving you reasons to doubt him.” Monumental goals—with dates attached. A century is a long time. But SpaceX colonizing Mars might be a bridge too far. There are some who doubt our abilities in the near future. In other words, maybe some people will venture beyond the Earth and Moon. Even live out subsistence-level lives on other planetary bodies. But a civilization growing out of Musk’s million isn’t likely. At least not until we can engineer on grander scales—terraform Mars, hollow out asteroids, build rolling bubble cities on Mercury. In either case, Musk is right about one thing. It’s time we pushed the boundaries of space exploration. And whatever your opinion, you have to admire the man’s willingness to go out on a limb when no one else will—and invite the rest of us to join him there.